Complex systems in nature and society make use of information for the development of their internal organization and the control of their functional mechanisms. Alongside technical aspects of storing, transmitting and processing information, the various semantic aspects of information, such as meaning, sense, reference and function, play a decisive part in the analysis of such systems. 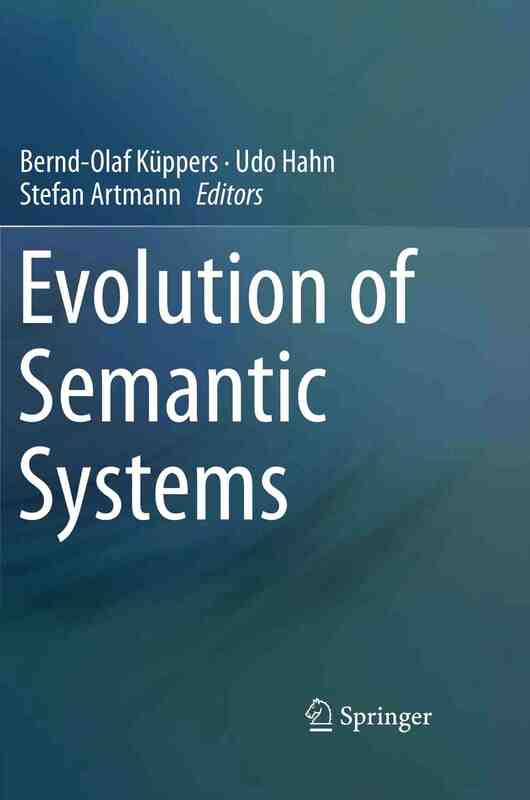 With the aim of fostering a better understanding of semantic systems from an evolutionary and multidisciplinary perspective, this volume collects contributions by philosophers and natural scientists, linguists, information and computer scientists. They do not follow a single research paradigm; rather they shed, in a complementary way, new light upon some of the most important aspects of the evolution of semantic systems. 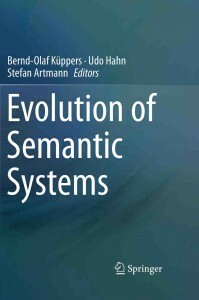 Evolution of Semantic Systems is intended for researchers in philosophy, computer science, and the natural sciences who work on the analysis or development of semantic systems, ontologies, or similar complex information structures. In the eleven chapters, they will find a broad discussion of topics ranging from underlying principles to representation and processing aspects to paradigmatic examples.